I don’t think anyone was shocked that the Jaguars rocked the Texans 45-7…except for Vegas and the public, who still continue to think this is the ‘sad’ Jaguars of the past decade. What else do they have to do? They’re the ‘it’ defense of the NFL. A top running game. They beat the Steelers at Pittsburgh and were able to put a lid on Antonio Brown when they wanted, for the most part. They’ve only been ‘handled’ once this season, to my eye…Week 6 the Rams did not flinch versus the Jags. Even the early season beating from the Titans was a little bit of an aberration for Jacksonville. Jaguars at Patriots…who wins in the playoffs? We all jump up and say, “Brady!” I don’t think the Patriots are designed to beat the Jags. I think Jaguars would blow the Patriots out. I’m starting to believe I’m one step ahead of the public on Jacksonville. We’ve been ahead on the Jaguars since March 2017. Now, 6+ months later, football people reluctantly think they’re good…I say they’ve got pretty good odds to go to the Super Bowl. The Texans were no match here, they’ve been decimated by injuries. Not much to talk about with them at all. A lost season. -- Suddenly, everybody loves Keelan Cole (7-186-1/9). 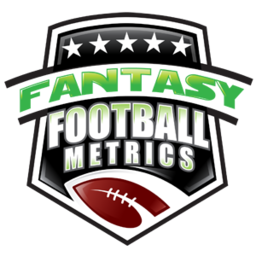 I mean, normal FFM fantasy GMs…not the football analysts…they’ll be talking about everything from a Dede Westbrook-centric (2-21-0/2) point of view. The public loves Dede Westbrook and JuJu Smith-Schuster because of there ‘cool’ sounding names, and nothing will convince me otherwise. This week’s projections (as of this writing) on FantasyPros for PPR WRs for Week 16…#27 Westbrook, #36 Cole. I’m surprised it’s that close…I figured Westbrook inside the top 20 and Cole outside the top 40. I guess a 186-yard game the prior week will help boost your projections. Jaydon Mickens (4-61-2/5) explosion helps keep Cole hidden. When a no-name Jags WR like Mickens scores 2 TDs (had his hands on a third too) it helps ‘write off’ Cole as some other no-name Jags WR guy who had a good/blip game. Only, the Mickens event was out of nowhere. Cole…well, he’s been producing for a while now. Cole has posted 45 or more yards in a game in six of his last 8 games, and for three games in a row. He’s scored a TD in three-straight games. Cole has been a top 3-5 fantasy WR the past few weeks…mostly pushed by last week. I want to love Cole more, and you know I do going back to College Football Metrics scouting reports and rankings. I’m a little leery of whether the Jags/Bortles follows through on this. Before this 9 target game, Cole had 3 and 3 targets in a game…he caught them all and one for a TD each game, but still ‘3 targets’ in a game doesn’t make an obvious WR1-2. I re-watched this game and I’m not sure there was a definitive plan to use Cole like this but he has been a starter since Week 1. He has the reps with Bortles, plus he’s a talent…possibly a super-talent. As I’ve written a few times this year…I occasionally get the feeling I’m looking at young Antonio Brown when I watch Cole. Someone has to step up. The Jags face the 49ers and Titans the next two weeks…not great pass defenses. Cole might really become a fantasy star to finish out. Dede Westbrook is likely to get some share of the targeting too, but once Lee went out in this game…it was ‘on’ with Cole. I think defenses will try to stop Westbrook, because for all their tape study…they just follow the media sentiments. Cole should be able to roam free enough this week to do damage. I’ve maintained Cole is 10x the WR talent Westbrook is. Pre-Draft, Westbrook is a beloved, but a fading 4th-round pick…fading on attitude and ‘drops’. Cole was an unknown, undrafted. People still hold onto those ‘gradings’ because they don’t know how to evaluate talent otherwise so despite Cole outplaying Westbrook from Day 1 of the preseason…people still glow about Westbrook and think Cole is some cute story. It’s about to get real cute. Westbrook was a sometimes good, sometimes bad college WR for Oklahoma. Cole obliterated stat sheets and record books at the D2 level. Jaydon Mickens is no slouch either…a solid NFL #3-4 WR who plays with the heart of a #1 WR. He’s 5’10”/175, runs a 4.5+ 40-time with stellar 6.62 three-cone. He is a deep-deep sleeper we’ve kept an eye on but as he’s bounced around with no home it looked daunting, but now here he is…a sudden player that matters. He’s not ready for fantasy yet but I would be shocked if he had another nice game this week and the next. -- Chris Ivory (17-42-0) got the start and did nothing with it. He did get stuffed from goal-line plunges three-times. Corey Grant (10-69-1) came in late for carries in the blowout and instantly electrified. I don’t know why Grant doesn’t get more touches on purpose…except for the fact that – that’s what the NFL does in all instances. The NFL would rather run Ivory off tackle for 3 yards then try to innovate with a homerun hitter. It’s just the way things are. -- We all make fun of Blake Bortles (21-29 for 326 yards, 3 TDs/0 INT) but he’s in the early-to-mid stages of a Case Keenum run. The last three weeks: 301.0 yards, 2.3 TDs/0.0 INTs per game. The game before the three-game run passing, he was 160 yards, 0 TD/1 INT…but rushed for 62 yards and 2 TDs. He’s brimming with confidence facing bad pass defenses stacked to stop the run. SF and TEN to finish out. -- T.J. Yates (12-31 for 128 yards, 1 TD/1 INT) is hard to scout from this first start of 2017…from the perspective of he was thrown into this start and is a shaky QB prospect as it is, and got the Jags as his first official start. Hosting the Steelers this week can’t be great either. -- My IDP guy, LB Dylan Cole (2 tackles) played 11 snaps in this game…still just a bit player. Had some nice work in the run game on a goal-line stand effort. Someday…someday we’ll live in a world where Keelan and Dylan Cole are respected. -- Interesting test this week for the Jaguars DST…at SF. The Jags defense has pretty much crushed every opponent except Russell Wilson in a frenzy 4th-quarter a few weeks ago. With Jimmy Garoppolo working with unfamiliar, young weapons and a bad O-Line…I’d bet on the Jags.